The other day I finally watched a TED talk I’d been hearing a LOT about. It’s called ‘Do Schools Kill Creativity?‘, by Sir Ken Robinson, and with over 48 million views, it’s THE most viewed TED talk of all time (see below). I was curious as to why it was so popular. When I listened, I swear the actual content (i.e. the research and ideas) only took up about 30% of the speech. The rest of the 18 minutes was heavily story based. And the stories weren’t just related to the research he was discussing. He shared personal stories of how he moved from London to the USA, how his son was dating a girl he didn’t approve of, and so on. 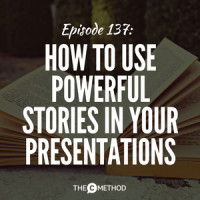 There were a LOT of personal stories where you’d be tempted to think ‘How are these relevant?’, but they work brilliantly to tie the whole presentation together. So, go figure. Stories for the win. I know it sounds like a no brainer, but if you’re presenting, for example, on how you can improve your sales process, you probably shouldn’t tell that story about how you got your hand stuck in the vending machine, no matter how hilarious. Think to yourself – does this story help to illustrate my point? We humans are visual creatures, and being able to picture something cements it in our minds. So for this, be specific when you describe what happens. For example: “I went shopping the other day, and the weather was terrible” is too vague. We need to be placed in the scene. This would be better: “I got in my car and drove to the South Melbourne market. All of a sudden, grey clouds filled the sky and heavy rain started to pour down”. 3. Say the dialogue in the story, don’t report on the dialogue. Again, this puts us IN the scene with you, which makes it more immediate, and therefore, more engaging. For example, you would say: “He told me: “Go up the stairs, turn left and you’ll find the exit on your right.” I said “You’re lying!”” instead of: “He told me to go up the stairs, turn left and I would find the exit on my right. I told him he was lying.” See the difference? Tell it as if you were telling your friends. Think about a time where something crazy has happened and you say: “You won’t believe what just happened! I was on the train on the way to work and…” You want it to sound natural and off the cuff. 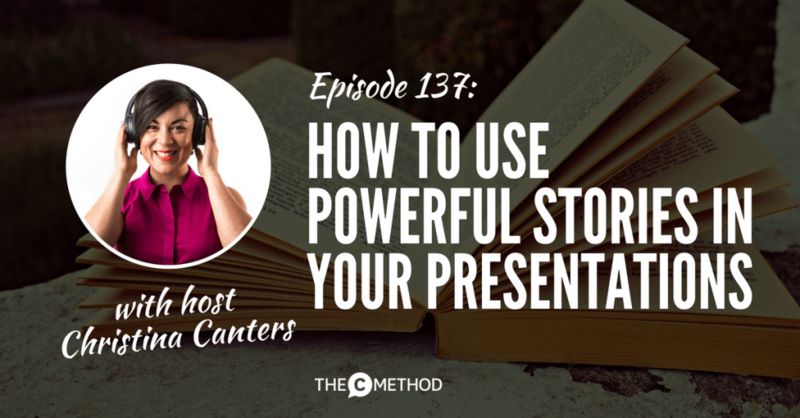 The effective use of story is one of the things I will be teaching in my Public Speaking Masterclass on December 3 2017, so if this podcast has resonated with you, this is a must-attend workshop. Click here for more information on the masterclass. For all upcoming events, please see my Events page.